Chelmunds Court resident, Audrey, seated here with her husband in one of our comfortable lounges, recently celebrated her birthday! Residents and their professional team of carers at the Chelmsley Wood care home in Solihull, enjoyed freshly prepared afternoon tea and a homemade birthday cake, crafted by the Chelmunds Court Head Cook, Michelle. Happy Birthday Audrey! We hope you had a lovely day. Chelmunds Court residential care home in Solihull offers 24-hour care for older people, including those living with dementia and those requiring general nursing. Chelmunds Court has 73 beautifully furnished bedrooms and shared social spaces. The modern and spacious Solihull care home has all the home comforts you’d expect to feel at home, with the added support and guidance through our person-centred care service. 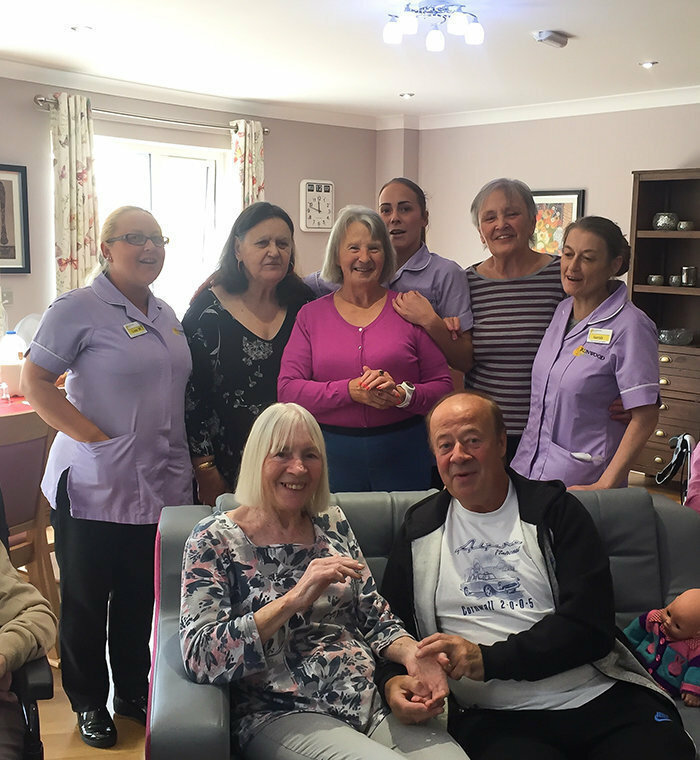 Residents at Chelmunds Court benefit from a wide range of activities and outings, including great connections with local community groups for socialising and a true sense of wellbeing in the Chelmsley Wood area. For more information, please contact Chelmunds Court, or visit the Chelmunds Court web page by clicking here.